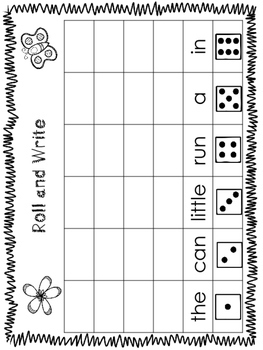 Students can practice their sight words with this fun, engaging activity. Each student rolls a die. (Put each die in a small, plastic container to prevent dice from rolling all over!) 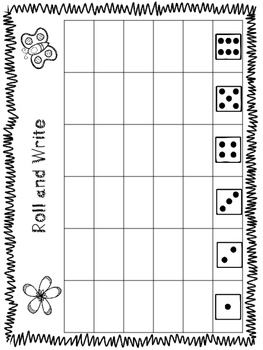 Then write the word that coordinates with the number shown on the dice. This download includes 40 pre-primer words and a blank page to write in your own words. 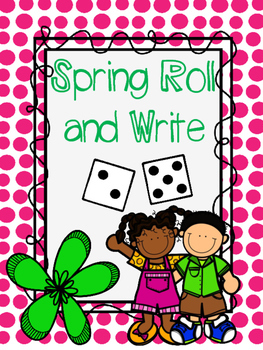 Make copies for each student or laminate and use dry erase markers! Please provide feedback in order to earn your TpT credits. Please contact me if you have any questions or concerns about this download! Also check out my Sight Word Game I have... Who has...?